Investigating complex biogeochemical processes and interactions within the Chesapeake Bay. Operating both underwater and aerial autonomous vehicles to study all aspects of our environment, all over the world. Developing realtime weather forecasts for operations on the Yard as well as chasing severe weather across the United States. Researching how tropical atmospheric waves can impact global, regional, and localized atmospheric and oceanic processes through teleconnections. Analyzing the drivers of climate change and impacts on future military operations. Researching and identifying environmental conditions that are favorable for tropical cyclone development. Writing computer scripts to securely and efficiently handle and analyze large environmental data sets in a cyber sensitive environment. Investigating and exploring the deep sea environment with unmanned vehicles. 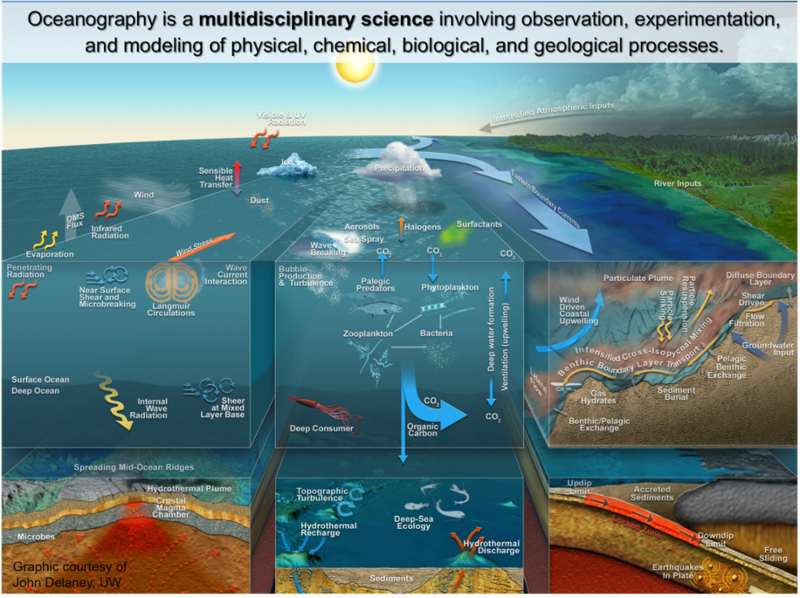 For the latest Oceanography Department brochure, including course lists, curriculum requirements, and information about the department and facilities, click here. Our faculty includes six tenure-track civilian professors, five rotational military instructors with recent fleet experience, four permanent military professors, and two civilian instructors of practical applications. Oceanography majors take 13 courses in oceanography, meteorology, and applied mathematics; students in the honors program take 14 courses. 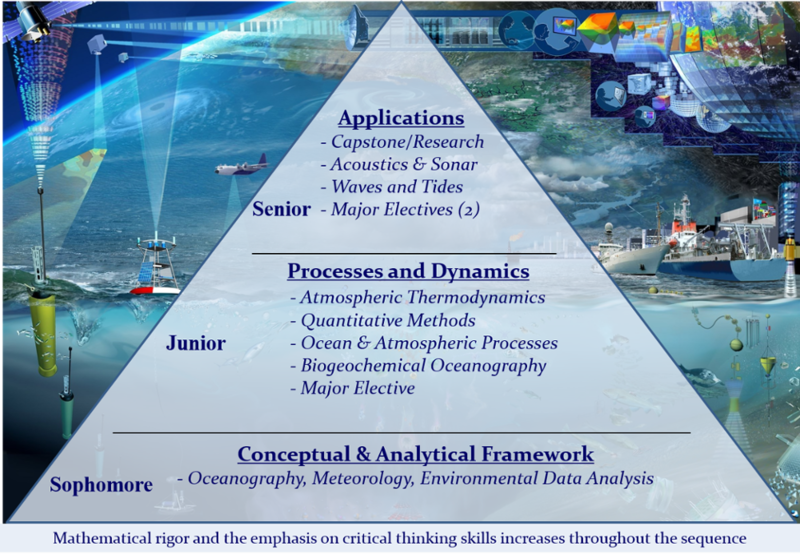 Potential Electives: Geological Oceanography; Geographical Information Systems; Polar Oceanography; Nearshore Oceanography; Biological Oceanography; Estuarine Oceanography; Ocean Exploration; Global Climate Change; Synoptic Meteorology; Remote Sensing; Tropical Meteorology; Energy Analysis, Policy, and Security. The Naval Academy boasts the most extensive undergraduate oceanographic facilities in the country. Located at the mouth of the Severn River, the Hendrix Oceanography Laboratory is a multi-function enclosure where midshipmen study the world's largest estuary, the Chesapeake Bay. The Hendrix Lab includes a Teaching Lab, Autonomous Vehicle Lab, Microscopy Lab, and Field Lab. 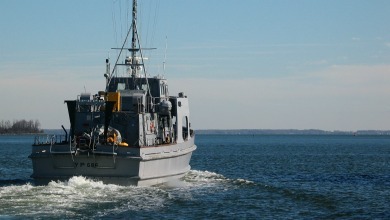 The Department's research vessel, YP686, a specially outfitted yard patrol craft, enables midshipmen to collect oceanographic and meteorological data for analysis afloat or at the Hendrix Lab. The department also maintains four lab spaces in Chauvenet and Michelson Halls including an Environmental Data Lab, Rotating Tank Lab, Coastal Oceanography Lab, and Biological Oceanography Teaching Lab.